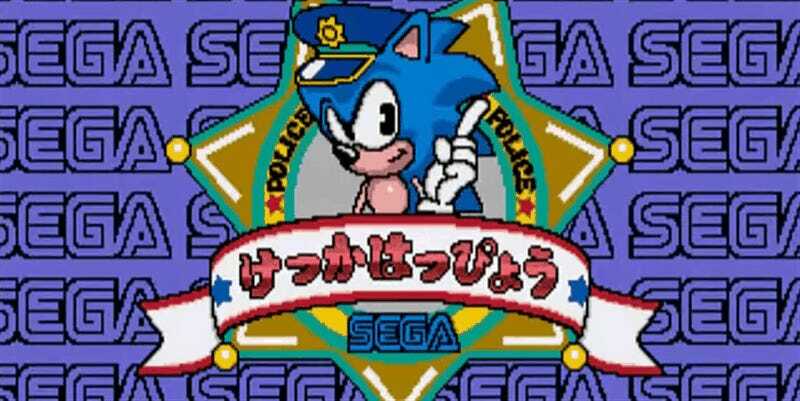 One of the rarest Sonic games of all time is Waku Waku Sonic Patrol Car, an arcade game for kids that was released in 1991. If you weren’t in Japan that year (so...pretty much all of us), you’ve probably never played it, as it has never been released again, ever, in any format. Until now! An original arcade board has been obtained by a fan and dumped, meaning that with the next release of MAME pretty much anyone can play and...well, if not enjoy the game (it’s very much a kid’s title), then at least experience it. Which Sonic fans might want to anyway; it’s the first game in the franchise to ever feature voice acting. UPDATE - OK, wow! So reader Will contacted me once this went up to let me know that the dump in question comes from his own personal copy of the game, taken from a Waku Waku cabinet that he recently imported from Japan (he paid $350 for the game, $3000 for shipping and around $2000 in additional costs). Here’s a video Will made showing off the cabinet. It’s from a cancelled fundraising campaign, but you get a good look at the car.